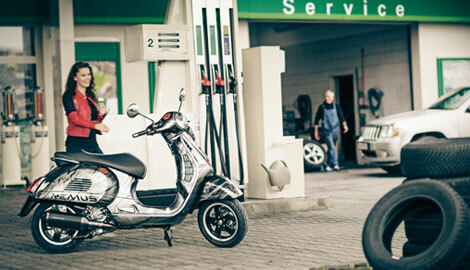 The REMUS sport exhaust range for scooters use the exact same high quality materials when compared to the REMUS motorcycle sport exhaust systems. The result of the REMUS scooter exhaust system is a quality hydro formed stainless steel inlet cap. At the opposite end, a special high temperature resistant Polyamide glass fibre compound end cap is used.